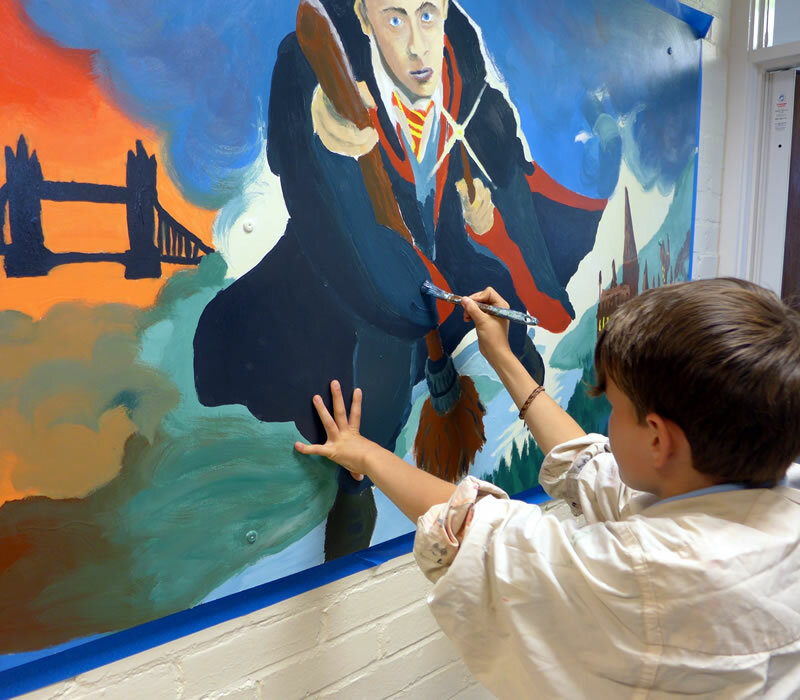 This project involved all the children in year 6 and took place at the end of the summer term. 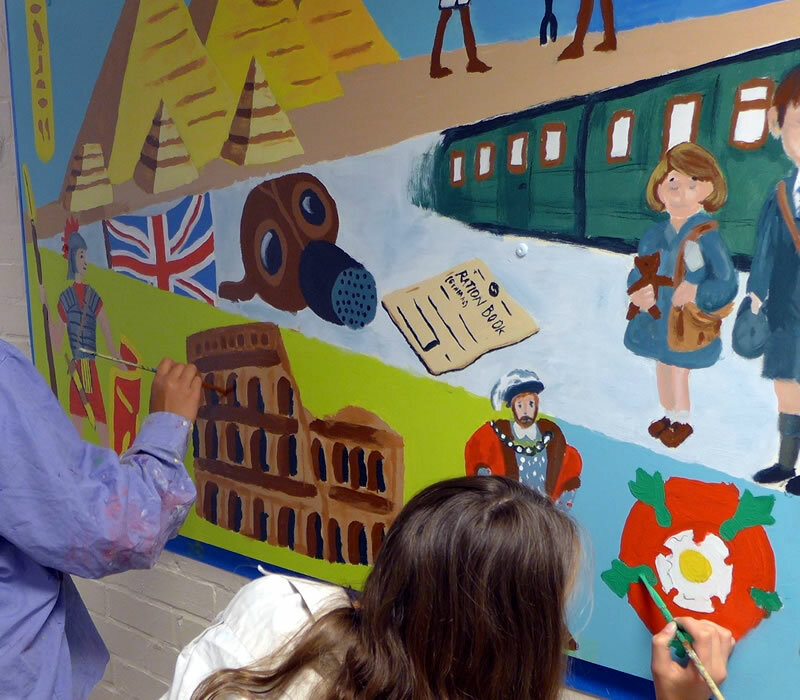 It is a visual representation of all the main topics in the junior school curriculum, including History and English. 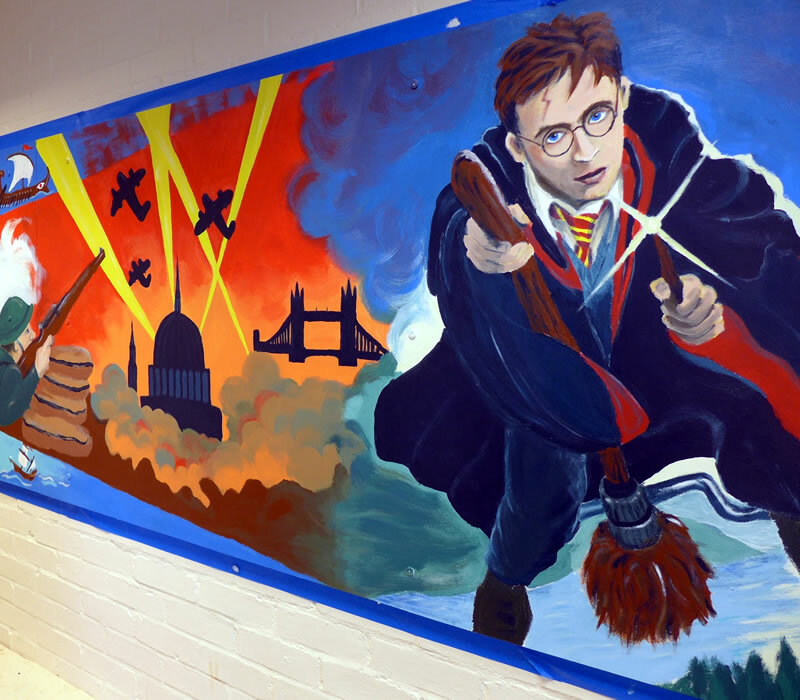 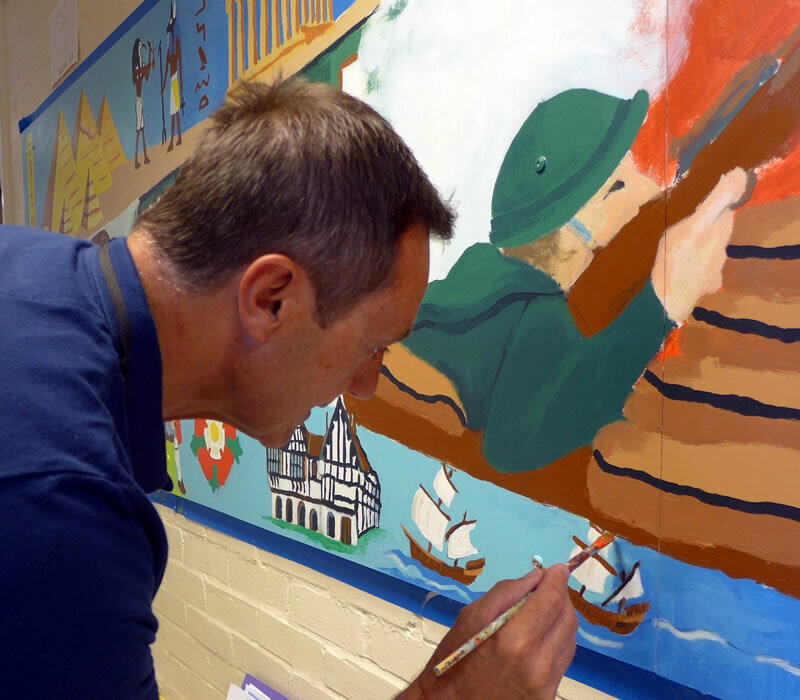 The children and staff were all involved in painting the mural over the course of a week.